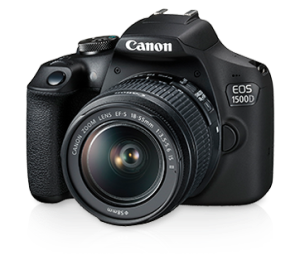 Manila, Philippines - Designed for a seamless transition from smartphone to DSLR photography, the affordable entry-level EOS 1500D and EOS 3000D are the newest additions to Canon’s extensive line of EOS DSLR cameras. Anchored by the premier EOS DSLR system and enhanced with user intuitive interfaces, these models are ideal for beginners looking (and moving up) to advance from smartphone photography to greater sophistication in imaging performance. 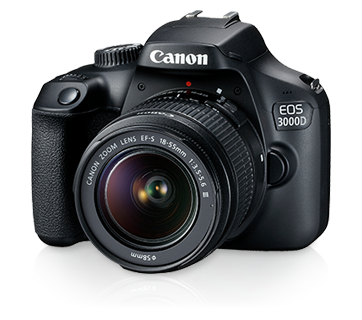 Both the EOS 1500D and EOS 3000D are powered by the DIGIC 4+ image processor and equipped with the 24.1 megapixels and 18.0 megapixels. APS-C sized CMOS sensors respectively, ensuring sharp and crisp images even under low light conditions. “With more and more Filipinos being interested into photography, Canon continues to delight these young aspirants and fuel their passion for the craft through professional cameras like EOS1500D and EOS 3000D, which offer an excellent range of features made affordable for everyone,” said Benny Yu, CMPI Head of Consumer Imaging and Information Division. The APS-C size CMOS sensor on both cameras is about 19 times larger than the 1/3.2 inch standard-type sensor typically found in a smartphone. This distinction gives the EOS 1500D and EOS 3000D an edge in performance as the large APS-C size sensor enables excellent proficiency in capturing light. Even in a low light environment, both models are able to produce high definition images with the most intricate of details intact. Both the EOS 1500D and EOS 3000D are equipped with an Optical Viewfinder which helps users to quickly focus and frame their subjects without experiencing any delay in image processing. As real-time viewing is possible, the Optical Viewfinder is the perfect tool for capturing clear images of fast-moving subjects. To improve operability, the cameras’ Scene Intelligent Auto mode automatically analyses scenes and refines images to produce beautiful, rich pictures. With just a click on the shutter button, even movement and image contrast can be reflected accurately. To simplify the understanding of product functions, both cameras are equipped with a Feature Guide for beginners to ease into the world of DSLR Photography. The EOS 1500D and EOS 3000D also boasts of the Creative Zone mode which allows users to create artistic photos by optimizing the shooting settings to match their shooting intentions as closely as possible.